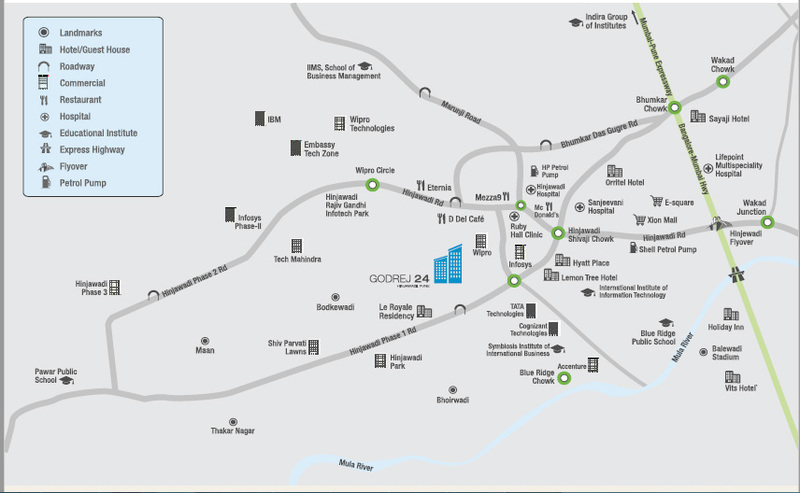 Godrej 24 location is unbeatable as is right next to the Rajiv Gandhi InfoTech Park, which gives you the luxury of walking to your work place. The project is close to all basic amenities like schools, higher education institutions, shopping malls, and hospitals. The project is well-connected to other parts of the city via an excellent road transport system. The international airport is also within easy reach of the project. The city railway station is also close by and the proposed metro rail from Hinjewadi to Shivajinagar will make commuting a breeze for residents.